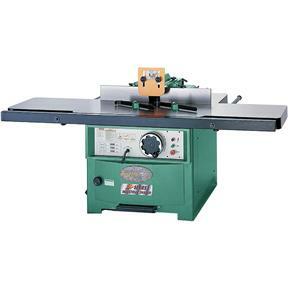 This massive Spindle Shaper is built to our exacting specifications, resulting in ultra-smooth power, durability and humongous capacity. 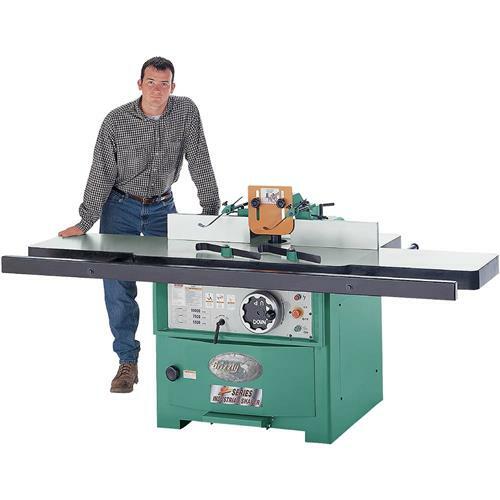 And check out these features: huge table measuring 33" x 91", 11-3/4" cutter diameter capacity, 5-1/2" capacity under the spindle nut, 5" dust port, micro-adjustable 2 piece fence, and so much more! Use this 7-1/2 HP of high production power to generate revenue quickly! Great for shaping full-sized doors! 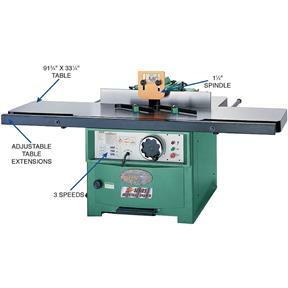 Table size: 99-3/4" x 33-1/4"
Spindle capacity under nut: 5-1/2"
Approximate shipping weight: 1832 lbs.